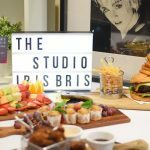 ibis Brisbane has answered the call from meeting bookers for a trendy event space that’s budget friendly, with the launch of the brand new The Studio conferencing space. When it came to redesigning and refurbishing the hotel’s conferencing facilities, the team from ibis Brisbane set out to add elements of fun and to inject youthful energy. In order to achieve this, they invited local Brisbane artists The Brightsiders to take over a wall of the conference space. As a result, The Studio features a distinctive, music inspired mural. In addition to the mural, the music theme is also bought to life for guests via a 80s and 90s music inspiration wall featuring a display of iconic albums and the pre-function space features music videos which play all day to bring energy to break times. 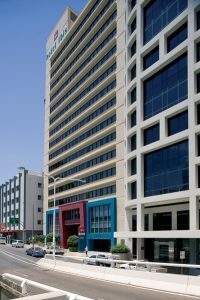 The refurbishment also included the removal of frosting from windows to let in more natural light and allow delegates urban city views. The Studio is just one element of the new Meet ‘n’ Play concept from ibis Brisbane. The offering also allows meeting planners to select lunch menus that feature delicious favourites from ibis including Shimmy Shakes, Boomer Burger and Hot Rockin’ Wings. Natasha du Plessis, Director of Sales & Marketing said that the new look space is already being well received by event bookers and delegates. The Studio can accommodate guests in a range of different room configurations including 100 guests theatre style, all the way through to 30 guests boardroom style. Ibis Meet ‘n’ Play Day Delegate Packages start from $55.00 per person. For more information and to book, call 07 3237 2320 or email h1750-sb@accor.com.